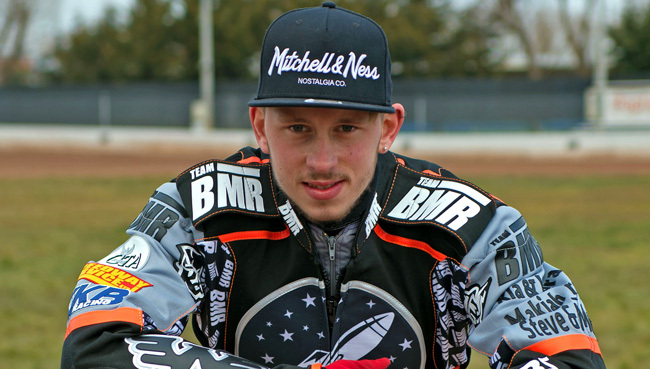 MAX Clegg’s hopes of gaining a second National League Riders Championship title fell at the first hurdle as the Potters skipper was excluded in his opening ride for touching the tapes at the Paul Chapman & Sons Arena, Leicester on Sunday afternoon. Clegg followed up with two race wins before being defeated by Kent’s Jack Thomas which ended hopes of making the rostrum for the popular Potters rider, before running a last in his final ride. The meeting was run after a run-off by the Isle of Wight’s Ben Morley from team mate Alfie Bowtell who fell in the run-off for the title having past Morley to take the lead before he ran to wide and hit the safety fence. Both riders had finished on 14-points which forced the run-off while Coventry’s Connor Mountain finished third on 13 points after the home rider finished third in his final ride having won his opening four rides.